What Do HRVs Do For The Air Quality In My Tiny House? Do I need one in my tiny house? The tiny houses built by B&B Tiny Houses are well insulated and sealed. This works great for keeping the inside warm in the winter and cool in the summer, but it means the air inside can get stale. HRVs, or Heat Recovery Ventilators, control a home’s humidity, reduce indoor mold and mildew, and exhaust stale, polluted air. 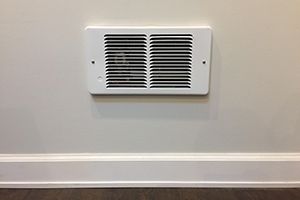 Unlike traditional vent fans, however, HRVs recover some of the warmth that’s being exhausted to the outside in the winter time, while removing the pollutants and moisture to ensure that the fresh air coming in is still warm. Maintaining the temperature of the air while exchanging stale air for fresh air cuts down on the cost of heating a home. The HRVs we use in our tiny houses come in pairs, where units are placed on opposite walls and air flow is transferred back and forth. In a tiny house, only one pair is necessary, because it’s such a small space. Each unit is installed directly on an exterior wall, so no ductwork is needed. Even when the door to, say, the bathroom is closed, it’ll still work because we leave a 3/4″ space beneath the door in tiny houses with HRVs. They are turned on and off by a switch. #6 in the photo is the part you’ll see on the interior wall of your tiny house. #1 is what you’ll see on the outside of the tiny house. Where should HRVs be used? Heat Recovery Ventilators are for use in the USA’s northern states. Energy Recovery Ventilators (ERVs) are to be used in the southern states. Does an HRV warm or cool the house? No; it maintains the inside temperature, rather than sucking all the heat or cool out of house. The system contains a sound muffler. It produces 0.12 sones at its lowest setting while a quiet refrigerator in a quiet kitchen produces about 1.0 sones. Do I really need an HRV in my tiny house? There are a few factors to consider when deciding whether to spring for an HRV. The type of HRV we use costs around a few thousand dollars, so it’s worth spending the time to decide whether you really want one in your home. How many people will live in the tiny house? The more people, the staler the air will be. 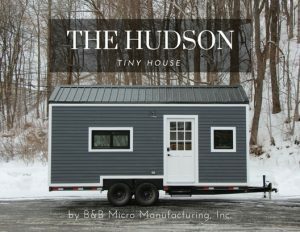 How often is the tiny house used? Is this your primary residence or your vacation home? 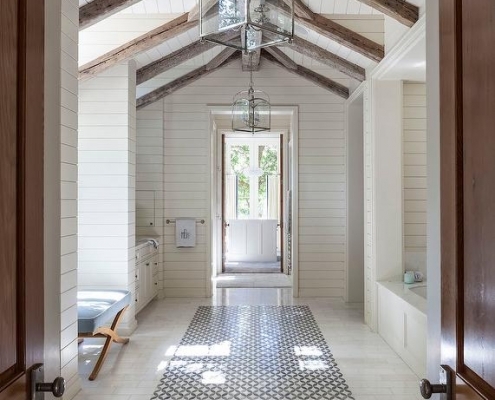 If it’s just used as a weekend cottage, an HRV system is probably not necessary because new air pollutants will not be introduced every day; a simple bathroom exhaust fan, while less energy-efficient, should do the trick. What is your sensitivity to mold? HRVs prevent the buildup of mold and mildew: those with an allergy or sensitivity to mold or mildew will benefit from an HRV system. Do you have breathing issues? Those with asthma, dust mite allergies, and other breathing issues may benefit from this air exchange. What is your cooking style? Scents from cooking may linger in a home, even with propane stoves come with a range hood. An HRV can help get rid of cooking odors. How energy efficient do you want your house to be? HRVs introduce new fresh air, warmed by the old stale air, into the house. Consider the cost of the HRV versus the cost of heat energy you’ll save by installing one. If you aren’t heating your tiny house full-time in the winter, the HRV will take longer to pay for itself. What if I don’t use an HRV? It’s important to not let mold and mildew build up from the moisture created by your bathroom and kitchen. But if you don’t have an HRV in your tiny house, there are other ways to get fresh air into your home. Our tiny house bathrooms come with a vent fan that goes on whenever the bathroom light is switched on. Vent fans will let the heat out of your house in the winter, but they are included with the basic model tiny houses and are much less expensive to install. You can also just open your windows periodically to let the fresh air in. All of our houses with a propane stove/oven also come with a kitchen range hood. 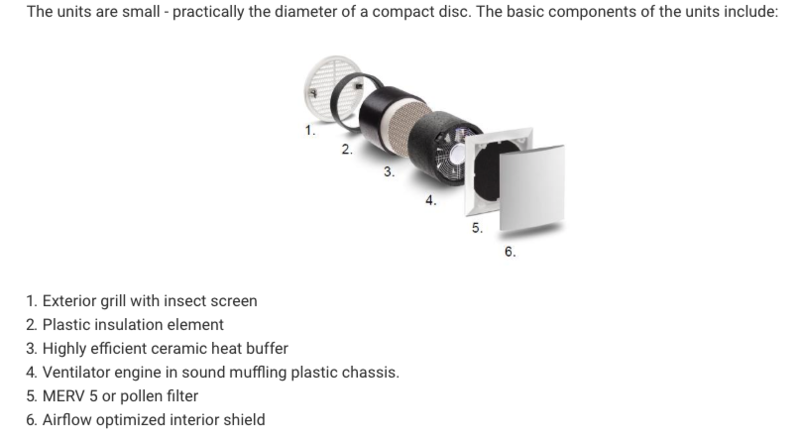 This video explains how a heat recovery ventilator works. The example shown in the video is for a much larger house; the ones used in tiny houses look like white squares, CD case shaped attached to the wall at opposite ends of the house. 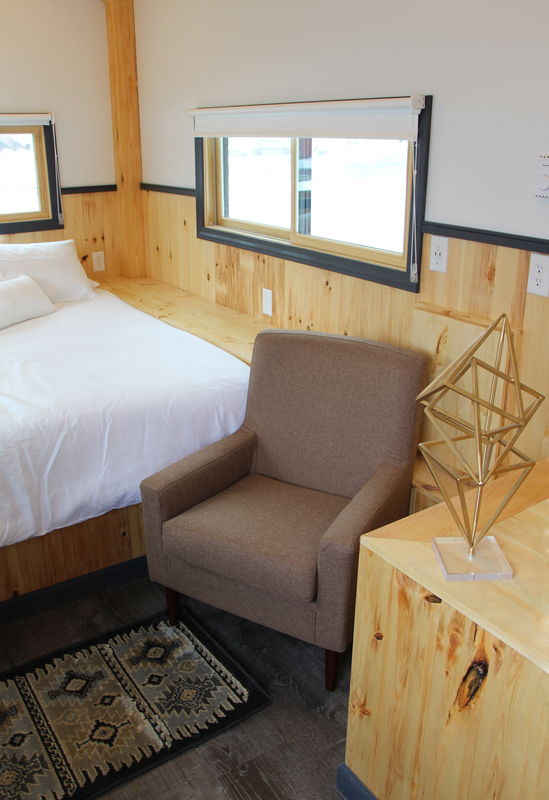 At B&B, all of our tiny houses are customizable to your preferences. That means that you get to pick all of the finishes in your tiny house. Check out some of our customers’ favorite features and add-ons below. Solar panels can be fully installed on your tiny house for as little as $10,000. Grid-tied solar energy offers a great way to live sustainably and you even have the option of selling back excess electricity–a win-win! 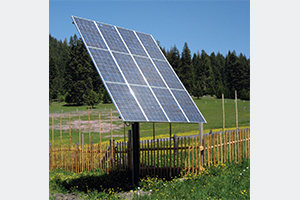 Read our blog post on the two most common types of solar panels: off-grid and grid-tied. Who doesn’t love shiplap? At B&B, we offer shiplap bare, painted, or stained. 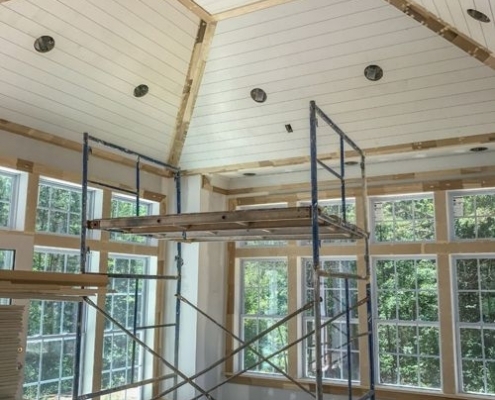 You also have the option of having the shiplap on the ceiling. Shou sugi ban is as practical as it is functional. Originating from Japan, shou sugi ban weatherproofs the exterior of a house through charring the panelling of a house. The result is a beautiful, contemporary house. Shou sugi ban can come in a range of colors from lightly charred to completely black. 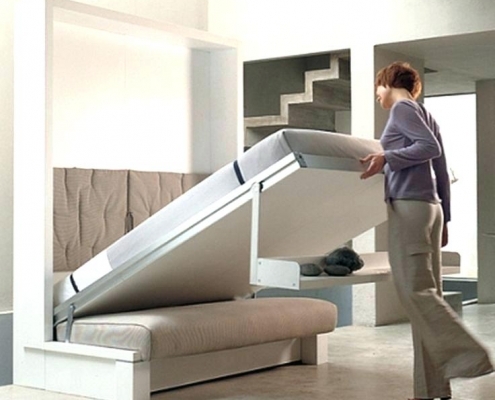 Sleep up to two more people in your tiny house through a convertible futon sofa. If you know that you will be keeping your tiny house in a single location, then an expanded porch is a great way to even better enjoy your surroundings. Also, they are great for entertaining! 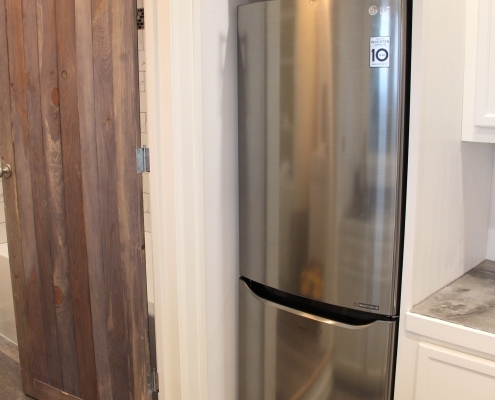 Living tiny doesn’t mean that you have to sacrifice a full-sized refrigerator. Quiz: Which Tiny House is Right For You? We know: there are so many beautiful designs to choose from and the choices can get overwhelming! Which is the best tiny house for you? Click each answer that’s the best fit for you: there are no wrong answers! Tow it yourself or have us deliver? Which master bed configuration is your favorite? 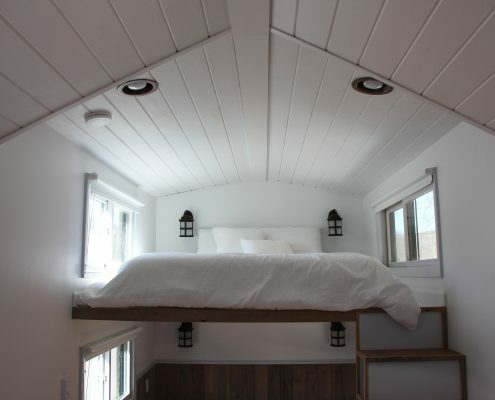 How many people will be sleeping in your tiny house? 1-2: a queen size master bed; no guest bed! Which Tiny House Design Is Right For You? The Hudson is a compact 8.5 x 20' tiny house with a kitchenette, 3/4 bath, and first-floor bed. Click to see more photos and info of The Hudson. 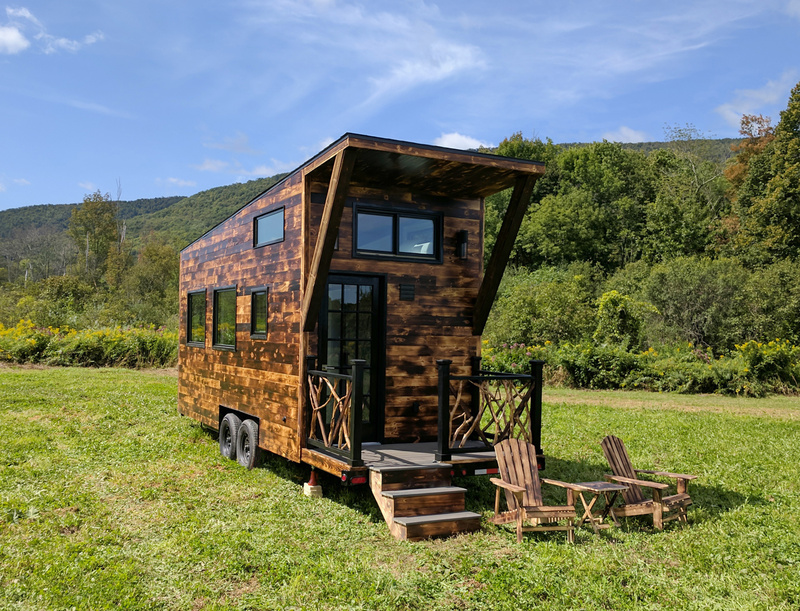 For another tiny house with a first-floor bed, you might also want to check out The Taconic, & for another tiny house that's lightweight for towing, the Hoosic. 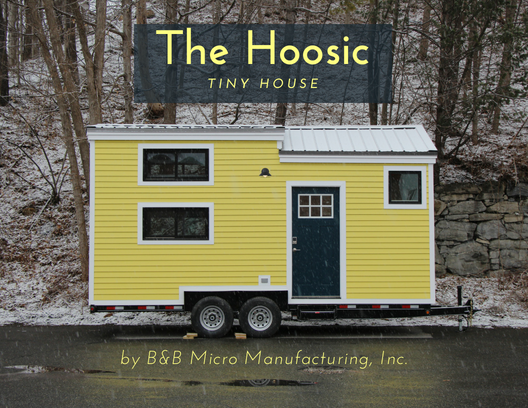 The Hoosic is a compact 8.5 x 20' tiny house with a kitchenette, 3/4 bath, and loft bed. Click to see more photos and info of The Hoosic. 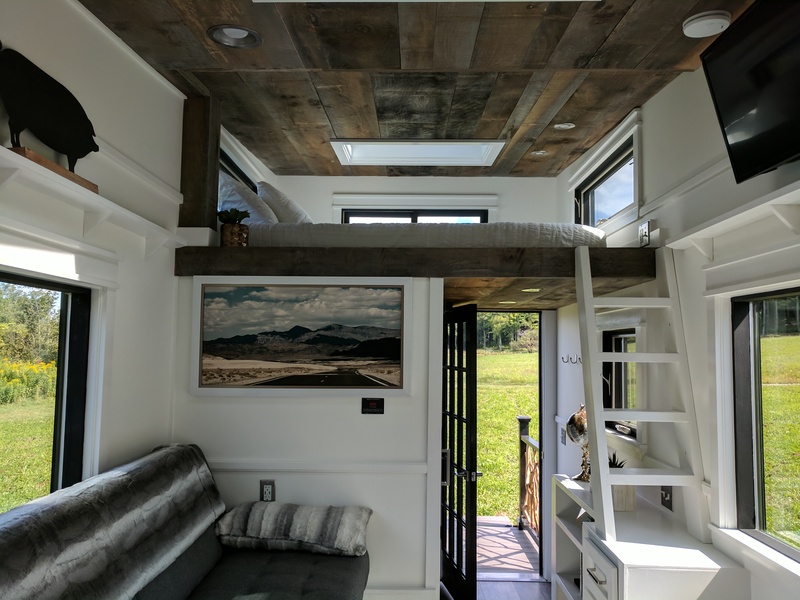 For another tiny house with a loft bed, you might also want to check out The Arcadia, & for another compact tiny house that's lightweight for towing, the Hoosic. 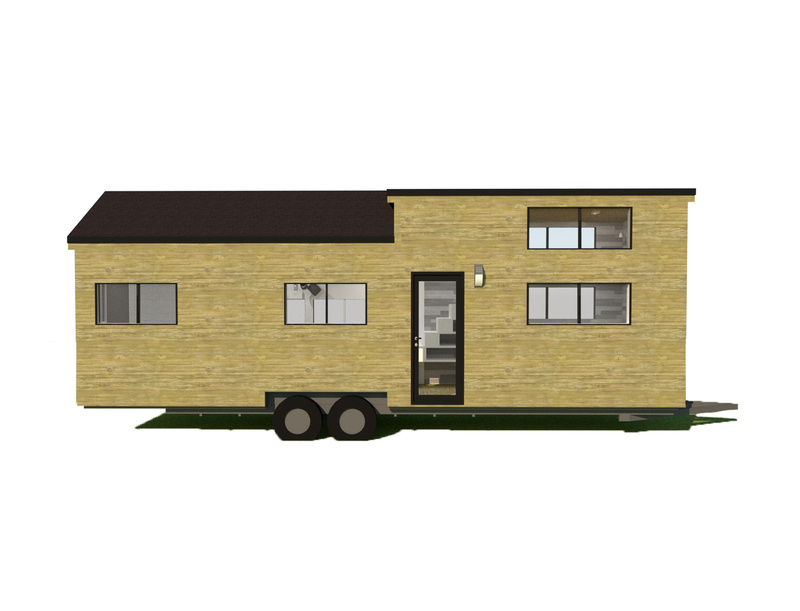 The Arcadia is an 8.5 x 24' tiny house with a porch, full kitchen, 3/4 bath, and sleeping loft. Click to see more info and photos of The Arcadia. 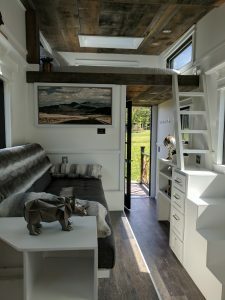 For another tiny house that can sleep four (two in the loft and two on a sofabed), you might also want to check out The Hoosic, & for another tiny house with a beautiful full kitchen, the Stony Ledge. 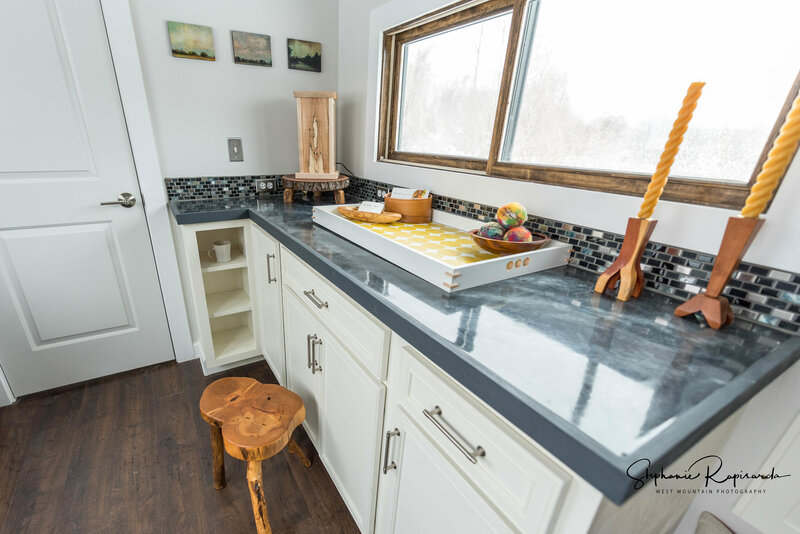 The Stony Ledge is an 8.5 x 30' tiny house with a full kitchen, full bath, and first-floor bedroom separated from the rest of the house. 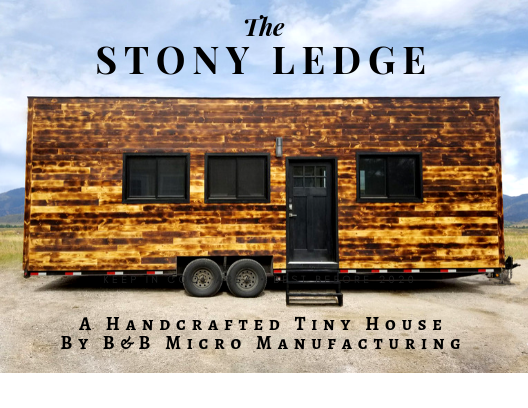 The Stony Ledge Tiny House is right for you! 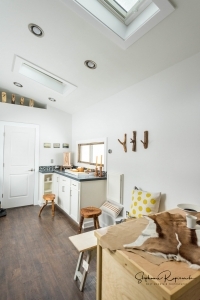 For another tiny house that has a full kitchen, first-floor sleeping and a bathtub, you might also want to check out The Ashmere, & for another tiny house with all the above features but two lofts instead of a downstairs bedroom, the Cold Spring. 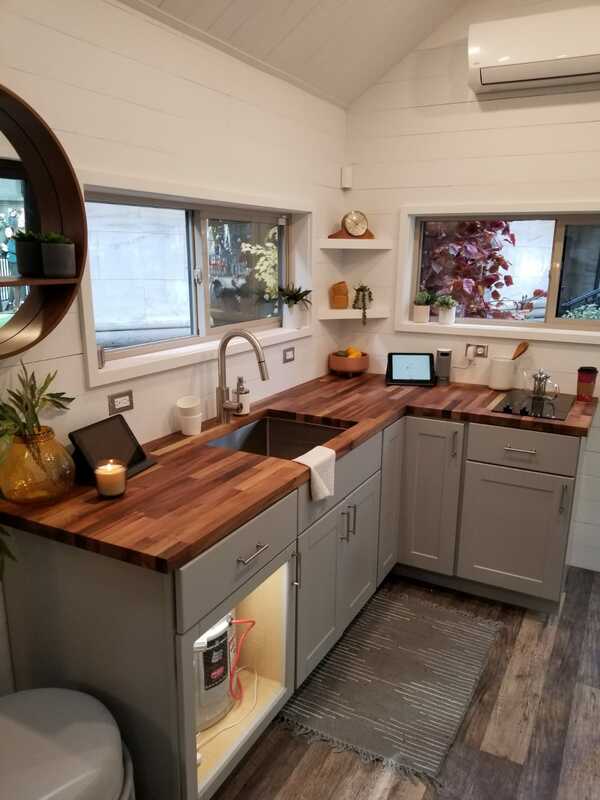 The Silver Lake is an 8.5 x 32' tiny house with a large living room, full kitchen, 3/4 bath, and bedroom separated from the rest of the house by a wall. 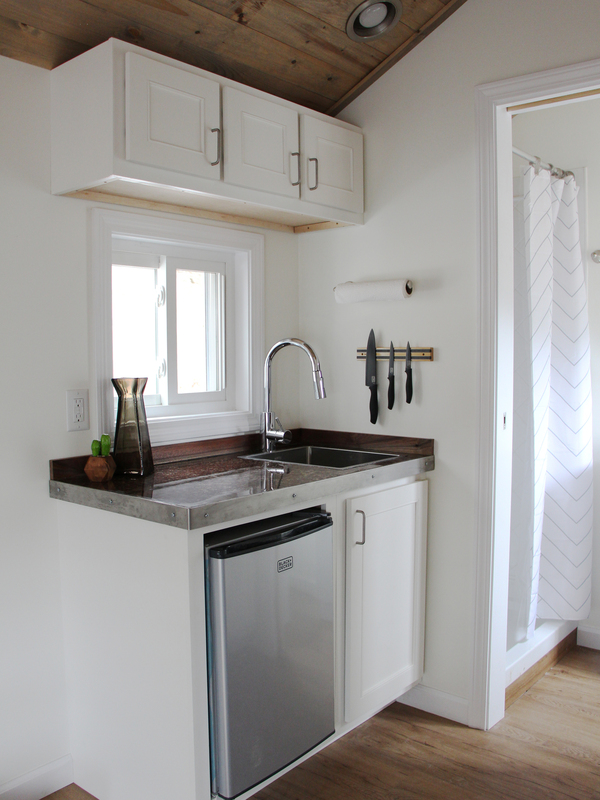 The Silver Lake Tiny House is right for you! 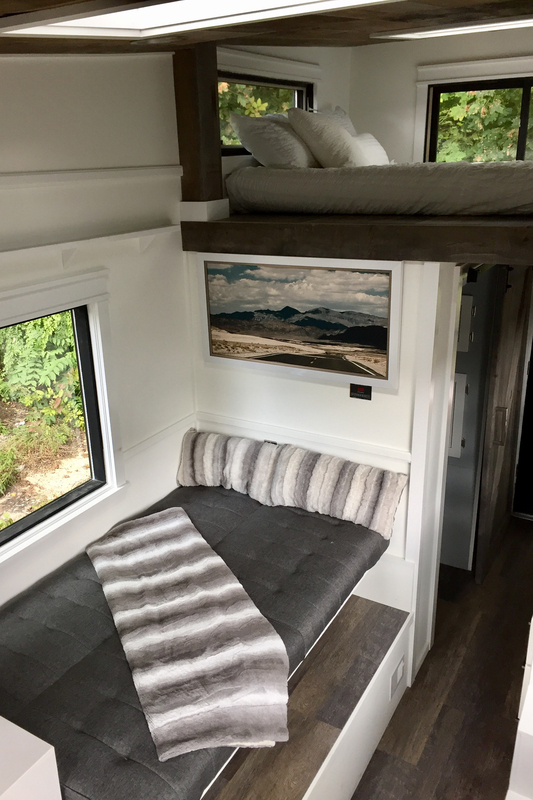 For another tiny house with a full kitchen and no loft, you might also want to check out The Ashmere, & for another tiny house with a beautiful full bathroom and separate, first-floor bedroom, the Stony Ledge. 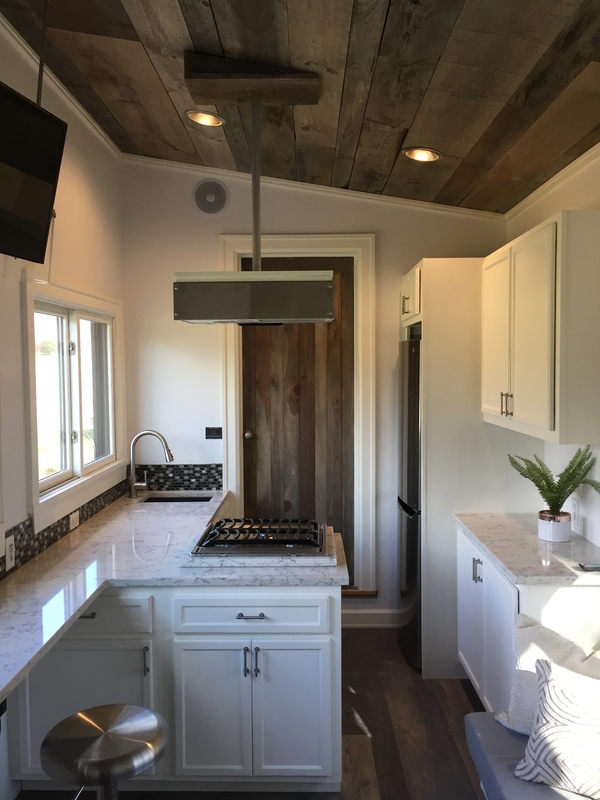 The Ashmere is an 8.5 x 30' tiny house with a beautiful clerestory roof, full kitchen, full bath, and a bed on the ground floor. 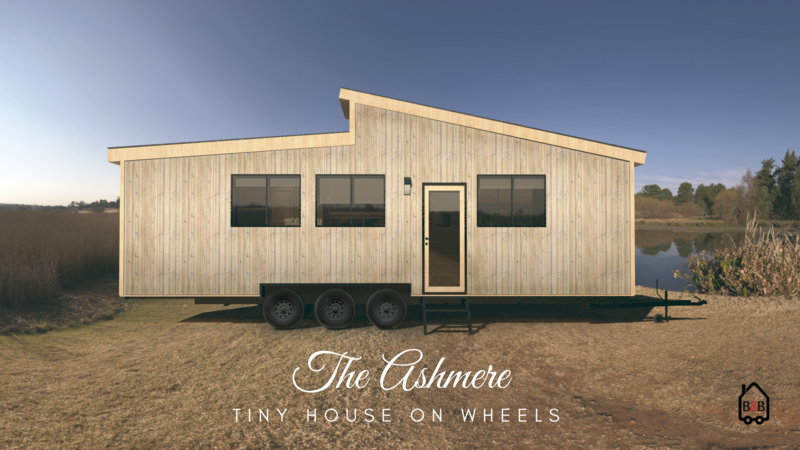 The Ashmere Tiny House is right for you! 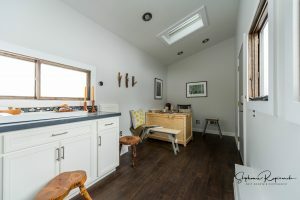 For another tiny house that has its bed on the ground floor, you might also want to check out The Hudson, & for another tiny house with a full kitchen and full bath, the Stony Ledge. 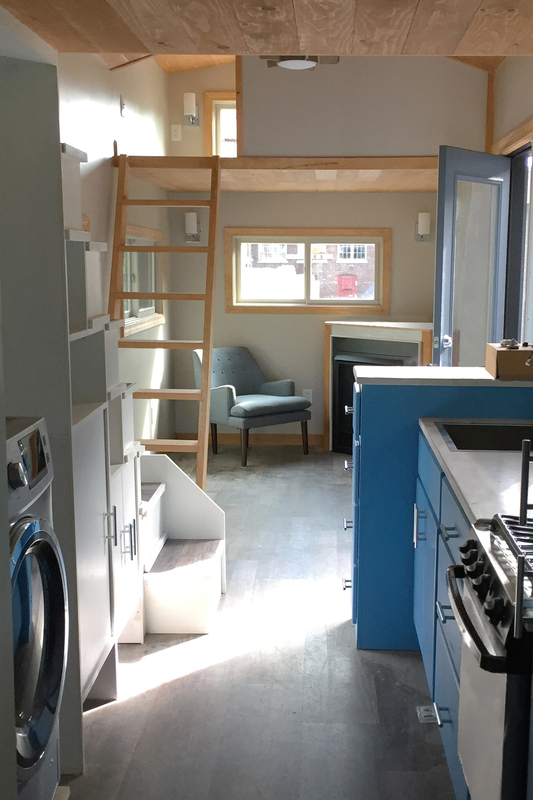 The Cold Spring is an 8.5 x 26' tiny house with a full kitchen, full bath, and two sleeping lofts. 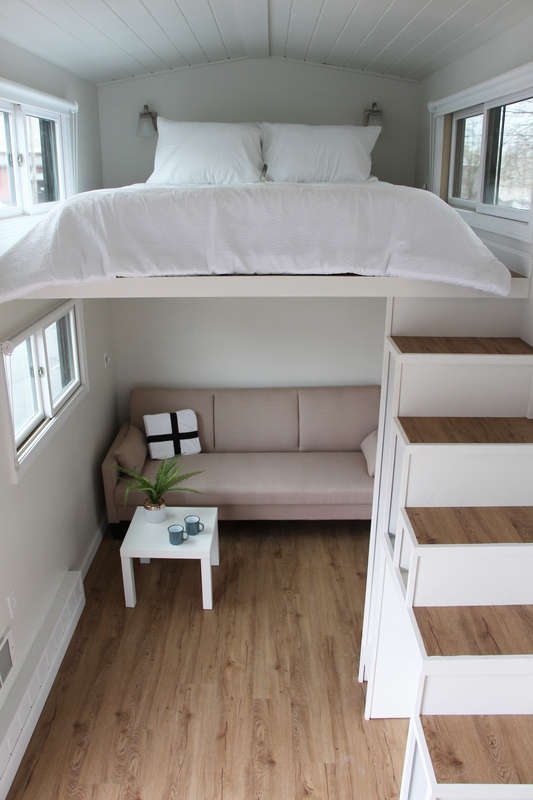 Out of all our tiny houses, it can sleep the most people: 2 in each queen-sized loft and 2 guests in the living room. 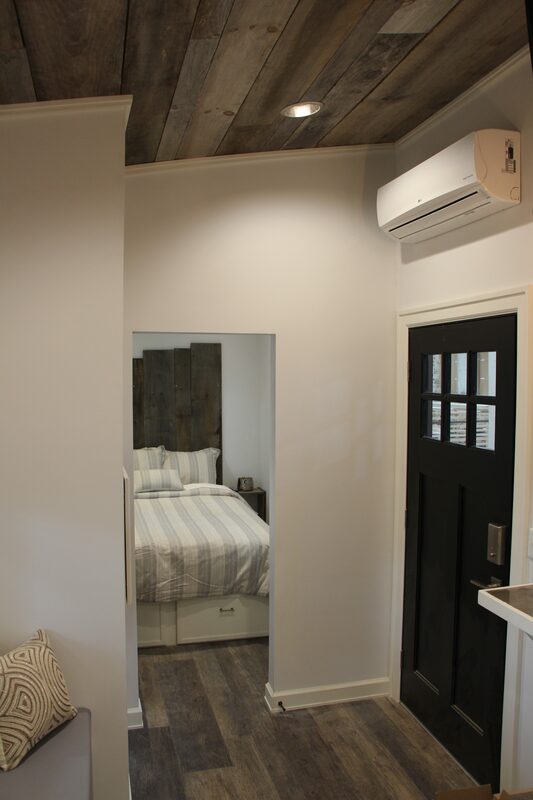 The Cold Spring Tiny House is right for you! 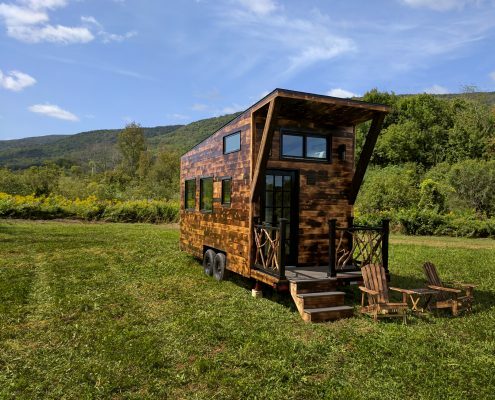 For another "large tiny house", you might also want to check out The Kinderhook, & for another tiny house with a full kitchen and full bath, the Stony Ledge. 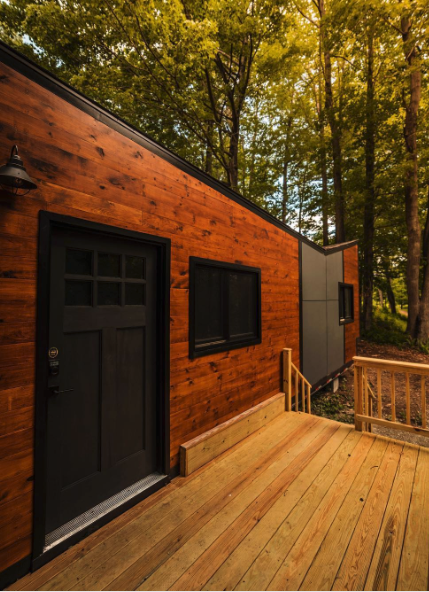 The Taconic is an extra-wide 10' x 24' tiny house with a porch, kitchenette, 3/4 bath, and ground-floor bed (no loft!). With its boxy roofline and porch with windscreens on four sides, it's one of our most modern designs. 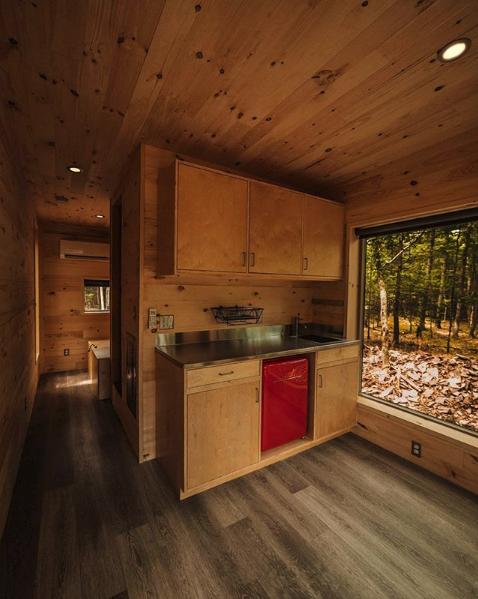 The Taconic Tiny House is right for you! 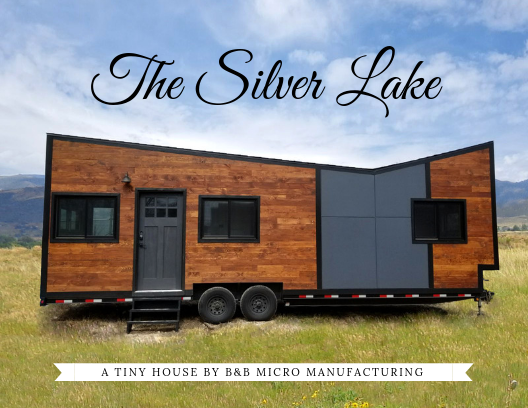 For another tiny house with modern design, you might also want to check out The Silver Lake, & for another extra-wide tiny house, the Kinderhook. 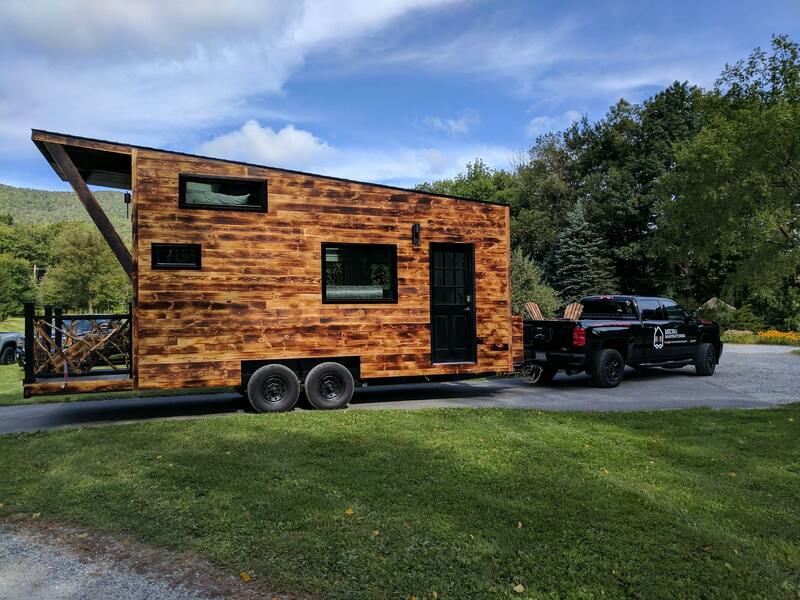 The Kinderhook Tiny House is an extra-wide and extra-long 10' x 30' tiny house. It has an extra-wide sleeping loft, full kitchen, and your choice of either a full bathroom or a 3/4 bath + washer dryer. The Kinderhook is right for you! For a miniature version of the Kinderhook that's lightweight for towing, you might also want to check out The Hoosic, & for another extra-wide tiny house, the Taconic. https://bbtinyhouses.com/wp-content/uploads/2019/01/Quiz_.jpg 480 672 Katie Jackson /wp-content/themes/bb-micro/images/badgelogo.png Katie Jackson2019-01-14 12:06:382019-01-14 12:37:41Quiz: Which Tiny House is Right For You? 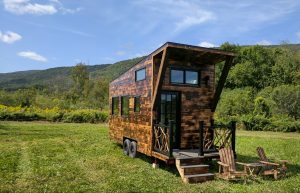 What’s the Best Size Tiny House for Travel? Tiny Houses on Wheels are sized for the road. An 8 1/2 foot width is standard in tiny houses because that’s the maximum width that can safely travel down roads without an oversize permit. 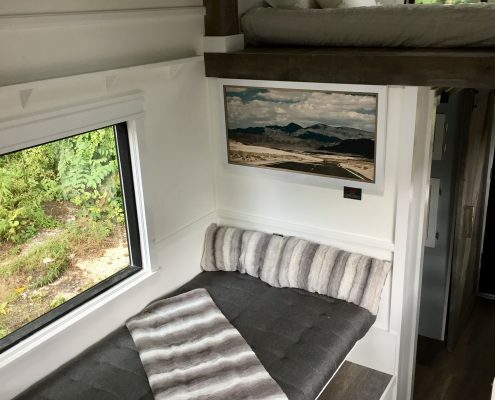 We also build some tiny houses on wheels 10 feet wide and procure oversize permits in every state they’ll travel through to get to their destination. 10 foot wide houses, of course, aren’t recommended as houses that will travel more than once. While the length of tiny houses is variable (we’ve built everything from 16 feet to 32 feet) the height is also restricted by the road. 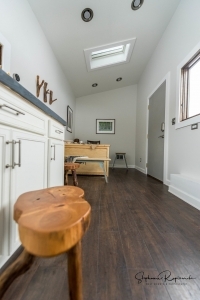 13 1/2 feet tall is the maximum, which means the ceiling can be just over 10 feet from the floor inside the tiny house. That’s why we can’t build a sleeping loft you can stand up in– unless you’re only two feet tall. What size vehicle do you need to own to tow your tiny house? You should have a vehicle with a towing capacity that exceeds the weight of your tiny house. This article will help you determine what towing capacity you’ll need based on the estimated weight of your tiny house. It can be helpful to take lessons first. If you don’t have experience towing, see if there are classes offered in your area before you set out on the road with your tiny house in tow. If you don’t want to take an entire course, have someone you know who’s experienced in towing give you a few pointers. Having someone watch what you’re doing in-person is more helpful than YouTube videos, because they can tell you what you’re doing wrong and right. Shorter tiny houses are lighter. If you don’t want to tow your house, hire a professional. There are companies that do this all day, every day so you don’t have to. If you’re only moving your house once, it may be best to leave the towing to the pros. 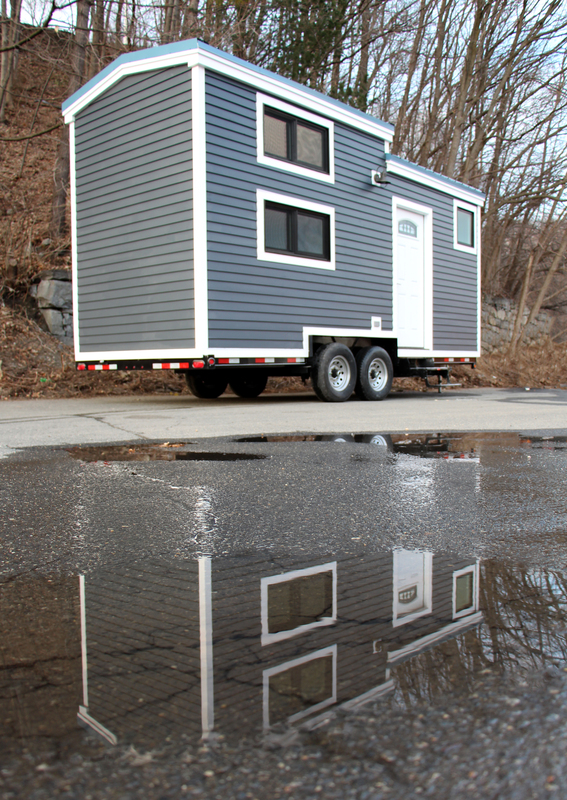 If you’re on the east coast, email us at info@bbtinyhouses.com for a towing company recommendation. https://bbtinyhouses.com/wp-content/uploads/2017/09/IMG_20170901_100557.jpg 3036 4048 Katie Jackson /wp-content/themes/bb-micro/images/badgelogo.png Katie Jackson2018-12-19 14:41:472019-02-06 07:40:42What's the Best Size Tiny House for Travel? I Spend All Day Every Day Inside A Tiny House. Here’s What I’ve Learned About Small Space Design. I work in a tiny house. More specifically, a mobile office. Here at B&B, our company has grown faster than our factory has, so now a few of us share the 8 1/2′ x 20′ Brodie Mobile Office for 8 hours a day, 5 days a week. 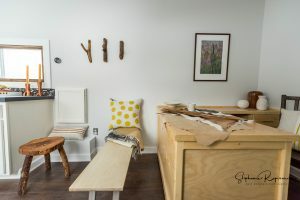 During that time, I’ve learned quite a few things about how to best design a small space for maximum working and living. Windows and skylights make a huge difference. Before moving out to the mobile office, I was working inside the factory in a little room we built into the corner of the warehouse. This room had windows to the factory but no windows to the outside. Now that I’m in the mobile office and my desk faces two windows, my quality of life has really improved. The old office, although it was bigger than the mobile office, felt a bit cave-like, and not in the way of grand echoing caverns; it was more like those tiny spaces spelunkers narrated by David Attenborough have to squeeze their bodies into. Anyhow, with its tall ceilings, skylights, and windows all around, the tiny mobile office, although smaller than the old office, feels way more spacious. Both for air exchange and light, it’s nice to have windows on all sides of you. Opening a window at either side of the house creates a nice breeze. Because you’re surrounded by windows rather than looking at one or two walls with windows, the space feels more expansive and airy than a smaller space. The take home: In a small space, you’re closer to the windows, so they don’t have to be as big as you’d think to provide a huge amount of light and views. Careful placement of windows to maximize light, view and air exchange makes all the difference. Choose your floor color wisely. This goes for any house, not just tiny houses, but it’s something I’ve learned from this particular tiny house so I thought I’d share it here. I can’t stress this enough: choose a floor color that’s not going to show every single piece of dirt, dust, sand, mud, piece of grass, and microscopic pebble. This house was photographed on a day when the snow went up to our knees and we mopped the floor just before the shoot. If we hadn’t, you’d see all kinds of smudges on it. The absolute best floor for mud-concealment is this grey one with lots of color variation. 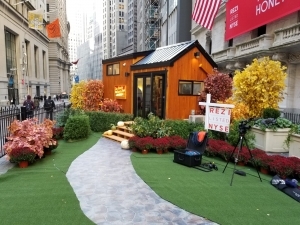 This house (the Arcadia Tiny House) has been exhibited on rainy, muddy days with hundreds of people (and double that number of boots!) walking through and you couldn’t even tell it was dirty. Left: The dark floor of the Brodie gets dirty Right: The varied-color floor of the Arcadia doesn’t show dirt! Mobile offices are great for greeting customers outside the work area. Our workshop has six tiny houses being built at a time, with houses, trucks, deliveries, forklifts, et cetera rolling in and out of our factory doors all day. We don’t generally like to invite visitors inside this active work environment simply because it’s too much of a liability. Having the mobile office outside as the face of our company allows us to greet customers in a safe environment, free of sawdust, noise and hazards. 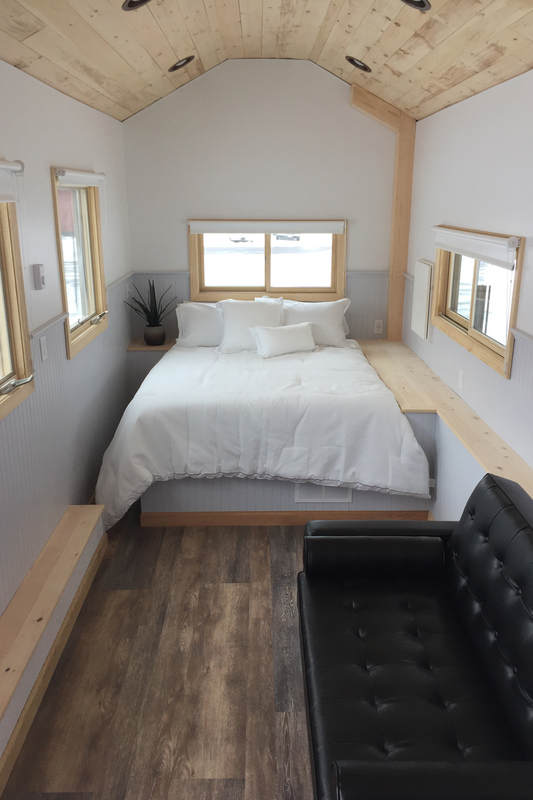 The take home: designing your tiny house is the most important thing– but placement of the tiny house can make or break your experience inside. 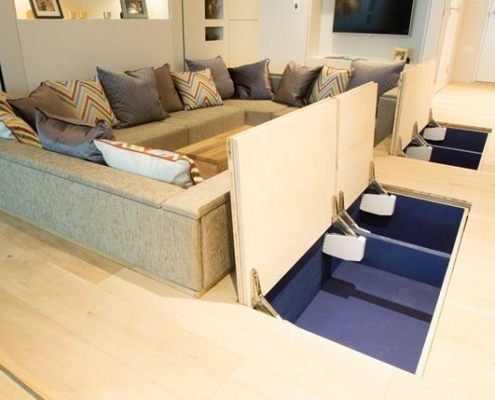 More people can fit in an 8 1/2′ x 20′ space than you think without feeling claustrophobic. We’ve had non-claustrophobic meetings with ten people inside. The level of claustrophobia definitely depends on the amount of stuff inside the house. Since this is an office, not a home, and most of our files are digital, not on paper, we really don’t need that much stuff inside the mobile office. We keep architectural samples, like color chips, siding swatches, and stain samples, but other than that pretty much everything’s digital. 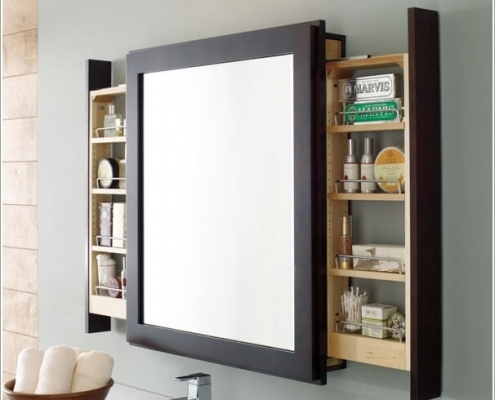 Additionally, the objects that we do have are stored inside the cabinetry so they don’t add to visual clutter. The take home: we live in a world where you no longer have to have a lot of physical stuff. In a small space, digitize (and back up!) everything. One might think closed cabinets make a small space feel smaller than open cabinets, but they’re great for hiding clutter. Get white noise and air exchange for a shared tiny space. It’s quiet in the mobile office. Really quiet. It’s a side effect of being well-insulated. So during mealtimes it can be a bit… overwhelming for someone who doesn’t like to hear others chewing. My favorite white noise generator is Celestial White Noise on YouTube. Ten hours of a gentle hum that you tune out after a minute and don’t have to hear every time your coworker shifts in their chair. I have hot soup for lunch all the time in the winter. To make sure the mobile office doesn’t then smell like soup for the rest of the day, I always open the restroom door and turn the extractor fan on after eating a hot lunch. It only takes a couple minutes to return the air in the house to freshness. Certain heating and cooling systems also include air exchange (ours doesn’t)– I’d recommend getting that if possible. The take home: get white noise and an extractor fan. Tall ceilings and not too much clutter on the walls really make a space feel bigger. Perhaps this goes without saying, but I think it’s worth mentioning the tall ceilings inside this tiny mobile office. In order to be road-legal, the tiny house has to be under 13 1/2′ tall so it can fit under bridges, trees and power lines. With the inside floor being just over 2′ off the road, there is still room for a taller-than-usual ceiling inside– and it makes a huge difference! 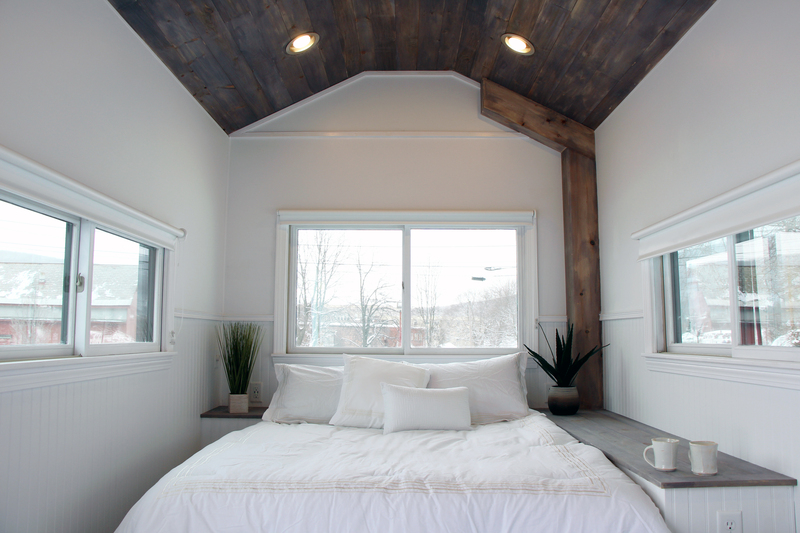 The take home: Be sure to design your tiny space with as much ceiling height as you can. https://bbtinyhouses.com/wp-content/uploads/layerslider/New-Homepage-Slider/DSC_3446.jpg 2403 3600 Katie Jackson /wp-content/themes/bb-micro/images/badgelogo.png Katie Jackson2018-11-30 15:33:072018-12-20 12:22:45I Spend All Day Every Day Inside A Tiny House. Here's What I've Learned About Small Space Design. 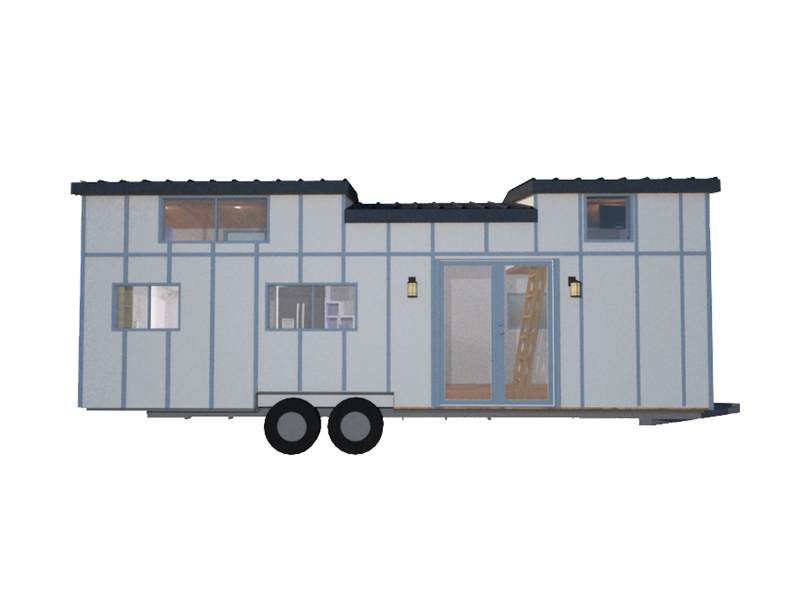 What’s The Difference Between a Modular Home and a Tiny House on Wheels? Tiny houses on wheels are permanently on the chassis. The tires can be removed but the house will always be on the trailer. If you want a tiny house on wheels but don’t plan to travel with it, we can also permanently anchor a tiny house on wheels to the ground, remove its tires, and skirt it. Road-legal limits of 8 1/2′ wide and 13 1/2′ high constrain the size of tiny houses on wheels. We are certified to build tiny houses on wheels by the RVIA, so our tiny houses on wheels are legally considered RVs. Tiny houses on wheels don’t require a building permit, but you’ll need to make sure RVs are allowed in your zone of your town. Modular homes are constructed in pieces in a factory and then transported to the home site to be assembled and attached to the foundation. They look just like traditional houses– you can’t tell the difference between a modular home from a traditional home just by looking at it– and can be any shape and size as long as each module is small enough to travel from the factory to the build site. After a modular home is built and inspected inside the factory, it is transported to the site and then permanently attached to a foundation (basement, slab, or pin foundation) where it is inspected again. B&B Micro Manufacturing is certified to build Industrialized/Modular Homes by the State of Massachusetts. Modular homes are financed using traditional home financing and there’s no difference in zoning for a modular home versus a traditional site-built home. B&B Modular designs will be released in early 2019. Both types of homes are built inside our factory in Massachusetts. The advantages of factory-building include a quicker build time (we don’t have to stop working in extreme weather) and a less expensive build, especially when the home is built alongside other homes of the same design. https://bbtinyhouses.com/wp-content/uploads/2018/10/d9d0a211-fc45-4df3-84d7-273b28a476c1.jpg 1200 1600 Katie Jackson /wp-content/themes/bb-micro/images/badgelogo.png Katie Jackson2018-11-14 09:13:582018-12-20 12:22:37What's The Difference Between a Modular Home and a Tiny House on Wheels? Are Composting Toilets Allowed in Massachusetts? Composting toilets and greywater systems can be a great solution for how to deal with waste water. But are you allowed to use them on your own land in MA? Spoiler alert: Like pretty much every code, there’s not a single easy answer that applies everywhere. Note that this doesn’t apply to tiny houses on wheels– only homes that are permanently affixed. In summary, Title 5 allows for conforming composting toilets and a greywater system in new residential construction where there could otherwise be a septic system. However, this doesn’t mean it’s allowed in every town. The local Board of Health will also have to approve it. Here’s how to get in touch with your local Board of Health in Massachusetts. But wait: a composting toilet isn’t the only option for your tiny house! 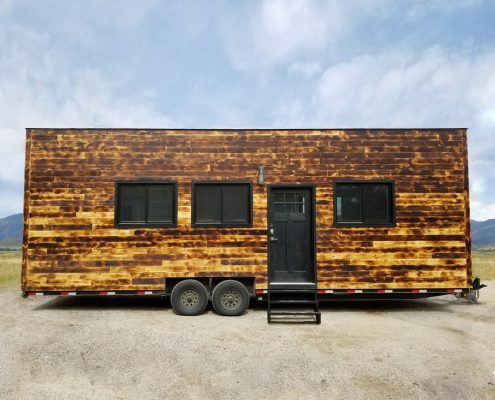 B&B offers five different toilets for tiny houses on wheels: the best solution for you depends on where you’re parking your tiny house, whether it’ll move, what utilities are available and how often you’ll use your tiny house. 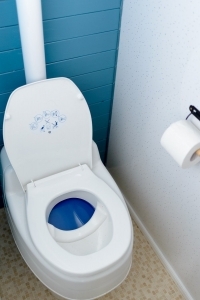 Check out this blog post on the 5 Types Of Tiny House Toilets. https://bbtinyhouses.com/wp-content/uploads/2018/08/separett.jpg 1500 1001 Katie Jackson /wp-content/themes/bb-micro/images/badgelogo.png Katie Jackson2018-11-09 11:22:212018-12-20 12:22:31Are Composting Toilets Allowed in Massachusetts? Whether it’s a tiny house or small space, follow these guidelines for maximizing space. Add storage everywhere! 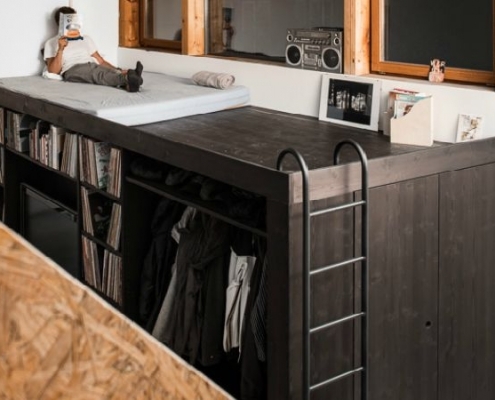 This is where you can be creative and build storage in unconventional ways. 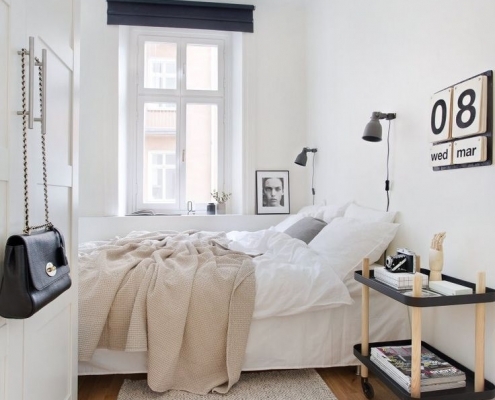 Light colors allow for the space to feel fresher and bigger. Adding natural light will make a space feel more open. 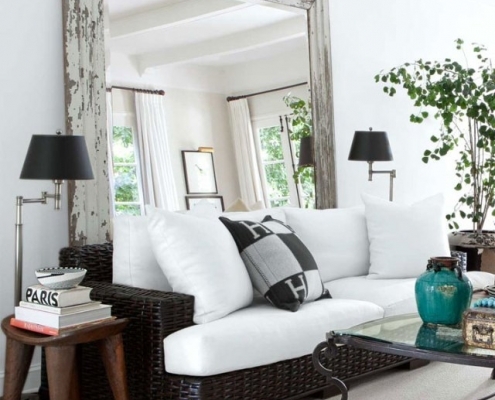 By adding windows and placing larger mirrors where natural light hits, you’ll maximize the freshness of your space. 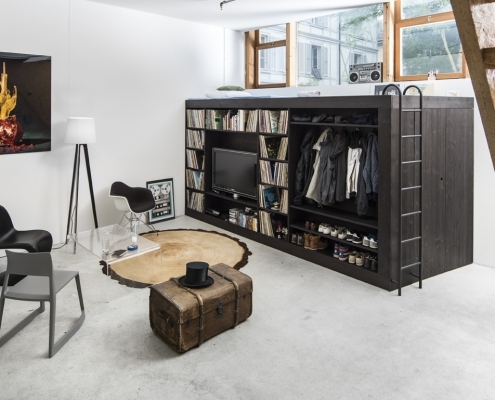 Space-saving furniture is perfect for a small space as it allows your room to become multi-functional. If possible, vary the dimensions and finishes in both the horizontal and vertical direction. When done correctly, this helps the space feel less uniform and allows for the eye to wander. 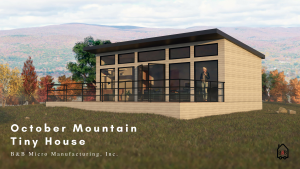 Want to stay up to date on more home design and tiny house news? If so, please fill out the form below.